Bring color and comfort to your outdoor or indoor living area with our all-weather items handmade in El Salvador. 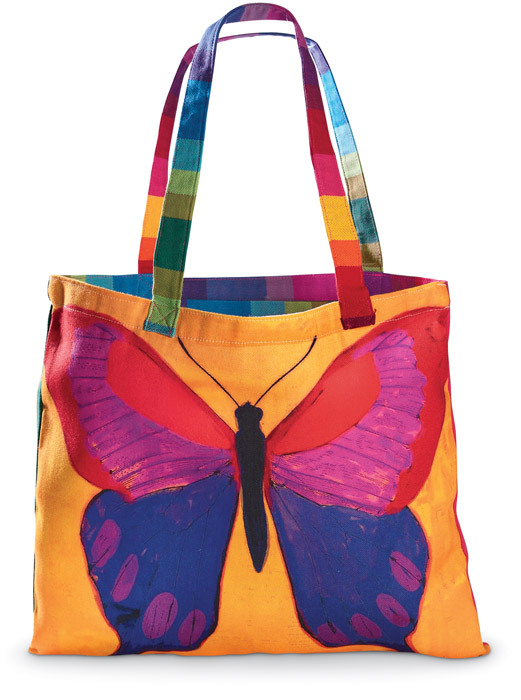 The tote features a 100% polyester rainbow stripe fabric that feels like cotton. Formerly $35, now 40% off. 15"W x 19"H; Strap: 26"